Frisco Foreclosures, Townhomes, Foreclosed Homes For Sale, REO Listings, Bank Owned Properties, Frisco TX - Jeanie Elliott, SFR, ABR, ALHS, SRES, CHMS, Frisco Texas Real Estate Broker & Realtors specializing in Frisco, Allen, Fairview, Lovejoy ISD, McKinney, Parker, Prosper, Plano, Lucas, Wylie, Celina, and Collin County foreclosure properties since 1980. ALHS, Accredited Luxury Homes Specialist, in 2010. Frisco Square - In The Heart of Downtown, Frisco, Texas. New Construction REO Custom Townhouse In Frisco ISD. Beautiful luxury custom townhome in Frisco Square. Completed new construction foreclosure property with luxurious amenities that include granite countertops in kitchen and master bath, stainless steel appliances, corner stone fireplace, custom flooring, built-in entertainment center with custom cabinetry, jetted tub with tiled surround, separate tiled shower and vanities, large bedrooms and two-car rear entry garage with opener. Large bedrooms and gameroom/media room with dual ceiling fans up and full-size utility room with sink, floor drain and additional storage also up. Luxury real estate property for sale in Texas' largest highly rated "Exemplary" school district, Frisco ISD. Fabulous two-story townhouse in desirable Frisco Square subdivision convenient to downtown shopping, restaurants, businesses and world class entertainment at Pizza Hut Park. In the heart of downtown Frisco, with quick accesss to Dallas North Tollway for easy commute to many areas of North Texas and the DFW Metroplex. Open floorplan for today's family, front study with pocket doors, spacious family room with corner fireplace, ceiling fans and windows that view landscaped courtyard and patio, awesome island kitchen with top of the line appliances, walk-in pantry, Jenn-aire range with gas cooktop and grill, and custom details and decor finishes. Bright and open with many windows and abundance of closets and storage throughout. Exquisite drive-up appeal with two-story brick elevation accented by arched porch, professional landscaping and decor lighting. Rare, rear entry garage adds to the visual exterior appeal of this unique luxury townhome bank owned property with attractive elevation. Spacious four bedroom, three full bathroom floorplan with two living areas, two dining areas, fireplace, study, full size utility room and attached, rear entry two-car garage. Lovely scenic views from many large picture windows and sky windows on both levels and from staircase with natural wood handrail and metal spindles. Custom cabinetry, designer tiled floors and upgraded carpet thoughout. Spectacular owners suite up includes huge wardrobe with built-ins for storage, double boxed ceiling, custom boxed window with window seat and luxurious tiled bath with abundance of tile, designer mirrors and lighting, granite countertops, glass walk-in tiled shower, jetted tub with tile surround and linen cabinets. Exterior features include full brick exterior, guttering, covered front porch, lighting system, sprinkler system, full landscaping package, and more. Other amenities include security system, window blinds, custom wood front door with opaque glass and metal insert, special interior ceiling treatments and art niches. Unique luxury REO new construction townhome listing complete with almost 3,300 square feet of HVAC living space, beautiful decor and finish out throughout. Low maintenance luxury living at its best with front lawn maintainance and watering provided by active Homeowners Association. 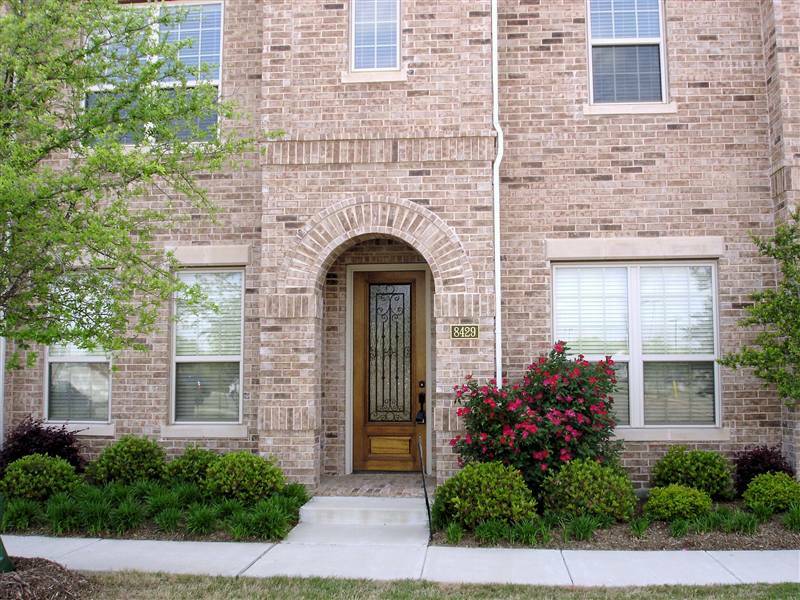 This Frisco Square Townhome located on Moore Street, was listed with Century 21, who represented the sellers. It was SOLD by Jeanie Elliott of Jeanie Elliott REALTORS, an ABR, Accredited Buyers Representative Broker representing the townhome purchaser exclusively. Ms. Elliott, a local real estate broker since 1980, has also been certified by the National Association of REALTORS as a SFR, certified Short Sales and Foreclosures Resource Broker and an ALHS, Accredited Luxury Homes Specialist, specializing in luxury homes, luxury real estate, foreclosure homes and short sales properties in the local markets near and surrounding the Frisco area. For more information on luxury homes, townhomes, and foreclosed properties in the Frisco area and other areas of Collin County and North Texas including Allen, Fairview, Prosper, Celina, McKinney, Lovejoy ISD, Lucas, Parker, Plano, Richardson, Wylie, North Dallas and other nearby areas of the Dallas Metroplex, call Ms. Elliott on her direct line at 972-612-2277. Also, for information and assistance with buying or selling other luxury real estate properties, foreclosure listings or bank owned REO properties similar to this property in Frisco Square, Frisco, Texas, which Ms. Elliott recently sold in 2010, call her to schedule a personal appointment to see other MLS listings or foreclosure listings that may be of interest to you, and to discuss her buyers representation services as your ABR, Accredited Buyers Representative broker which she provides to all her buyer clients. In addition, Ms. Elliott also represents sellers in the sales and marketing of these types of listings and properties, and will be glad to discuss her seller representation services and create an individualized marketing plan for your home or the real estate you are planning to sell. If you want to get your property on the market with a professional REALTOR that knows the market in these areas and has a thorough knowledge what it takes to successfully buy or sell real estate in these local markets, call Jeanie Elliott today at 972-612-2277 for more information. Please feel free to call Jeanie Elliott REALTORS to schedule an appointment to discuss how our specialized, professional services and programs can be a plus in helping you with either buying real estate, selling an existing property you already own, or both. Regardless if your move is a local one across town or your relocating to another town, city or state, we have real estate services and resources that will help your move be more successful. 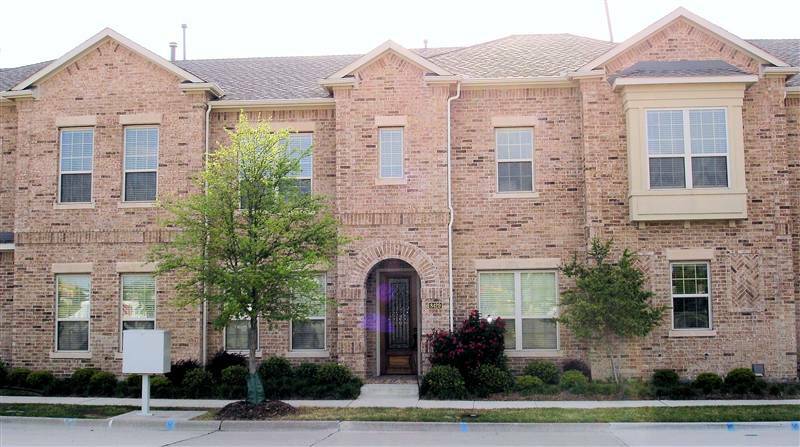 Frisco Square Townhome SOLD By Jeanie Elliott, Jeanie Elliott REALTORS. Jeanie Elliott, ABR, Accredited Buyers Representative Represented the Purchasers. Listed by Century 21 - Offering Price Under $300,000. MLS Listings In Frisco. Completed New Construction Foreclosure - Beautiful Custom Townhouse. Are You Ready For A Short Sale or Foreclosure Property?